In rare cases, federal employees can obtain a waiver from conflict-of-interest rules. These waivers are reviewed by government ethics attorneys. Those attorneys take into account the scope of the financial conflict, the importance of the employee’s role and even if the “particular matter” they’re working on is controversial or sensitive. Prior to her service at HHS, Mr. Lenihan worked for McKesson Specialty Health, Office of Government Affairs, as the Senior Director of Government Affairs….Prior to her work for McKesson Specialty Health, Ms. Lenihan was a Legislative Director for Congressman Pete Sessions and an Associate Staff Member for the U.S. House of Representative Committee on Rules from March of 2008 until October of 2011. She also worked as a s Senior Legislative Assistant for Secretary Price from March 2005 until March 2008 when he served in Congress. National Grocers Association Served as Senior Director of Government Relations as a registered lobbyist. Worked with Congress and NGA members to advance the priorities of the independent supermarket industry. 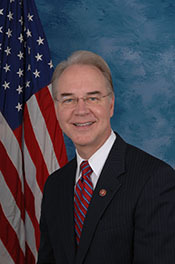 PRICE, Tom, a Representative from Georgia; born in Lansing, Ingham County, Mich., October 8, 1954; graduated from Dearborn High School, Dearborn, Mich., 1972; A.B., University of Michigan, Ann Arbor, Mich., 1976; M.D., University of Michigan, Ann Arbor, Mich., 1979; physician; member of the Georgia state senate, 1997-2004; elected as a Republican to the One Hundred Ninth and to the six succeeding Congresses (January 3, 2005-February 10, 2017); chairman, Committee on Budget (One Hundred Fourteenth Congress); Secretary of Health and Human Services in the Cabinet of President Donald J. Trump, 2017. ELIAS KEMP INC. SUB S CORP OWNED BY ME. FIRST TEN SOURCE NAMES IN THIS PART 4 PAID ELIAS KEMP INC. 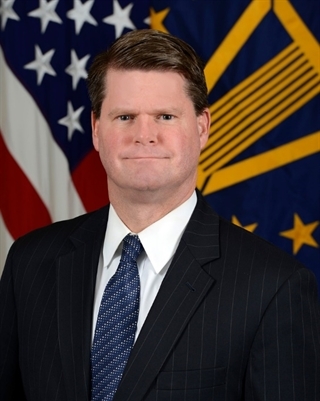 Previously, Mr. Schriver served as Deputy Assistant Secretary of State for East Asian and Pacific Affairs. He was responsible for China, Taiwan, Mongolia, Hong Kong, Australia, New Zealand, and the Pacific Islands. From 2001 to 2003, he served as Chief of Staff and Senior Policy Advisor to the Deputy Secretary of State. From 1994 to 1998, he worked in the Office of the Secretary of Defense, including as the senior official responsible for the day-to-day management of U.S. bilateral relations with the People's Liberation Army and the bilateral security and military relationships with Taiwan. Prior to his civilian service, he served as an active duty Navy Intelligence Officer from 1989 to 1991, including a deployment in support of Operation Desert Shield/Desert Storm. After active duty, he served in the Navy Reserves for nine years, including as Special Assistant to the Chairman of the Joint Chiefs of Staff and an attaché at U.S. Embassy Beijing and U.S. Embassy Ulaanbaatar. Mr. Schriver has won numerous military and civilian awards from the U.S. government and was presented while at the State Department with the Order of the Propitious Clouds by the President of Taiwan for service promoting U.S.-Taiwan relations. Mr. Schriver received a Bachelor of Arts degree in history from Williams College and a Master of Arts degree from Harvard University. Stanford University I am an adjunct lecturer for Stanford-in-Washington program and teach a class on US foreign policy during the fall and spring quarters of each academic year. The Project 2049 Institute I am President and CEO of Project 2049, a 501c3 non-profit, research organization ("think tank"). 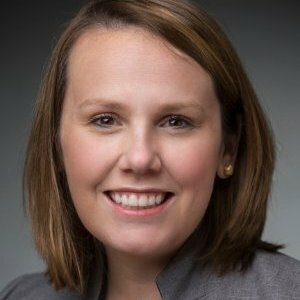 Before coming to USDA, Kailee Tkacz served as the Director of Food Policy for the Corn Refiners Association (CRA), leading strategic food and nutrition efforts at the international, federal, state, and local levels. Prior to her time at CRA, Tkacz was Director of Government Affairs for the Snack Food Association and also a Government Affairs Manager for the National Grocers Association. 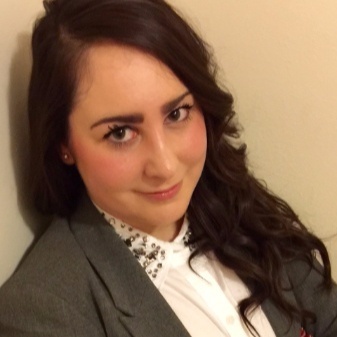 Her work experience has provided her with extensive knowledge of the food industry supply chain from farm to folk. Tkacz grew up in upstate New York and has a Bachelor of Arts degree in political science, with a concentration in American politics and public policy, and a minor in history from the University at Buffalo.